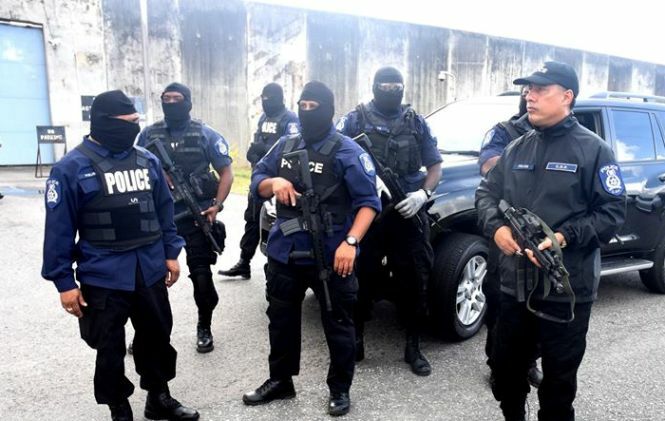 28 persons were arrested during police exercises last Thursday and Friday in East Trinidad. Officers conducted extensive searches of known drug blocks, executed multiple search warrants while several vehicles were stopped and searched. Of the 28 persons held, one man was held for sacrilege and another for breach of a protection order arising from a domestic violence dispute, robbery with violence and malicious damage. Three additional men were also arrested for malicious wounding, resisting arrest and obscene language respectively. While two persons were detained for possession of marijuana and the remaining 21 were held on outstanding warrants. Though 20 fixed penalty notices were issued, no one was arrested for drunk driving.